Last weekend, the Mister and I were in Midtown Manhattan during noon time. Feeling hungry and but too lazy to travel far for food, we decided to stop by Ted's Montana Grill. I had been to this finance crowd favorite a few times before for dinner, but was excited to try their newly created brunch menu. 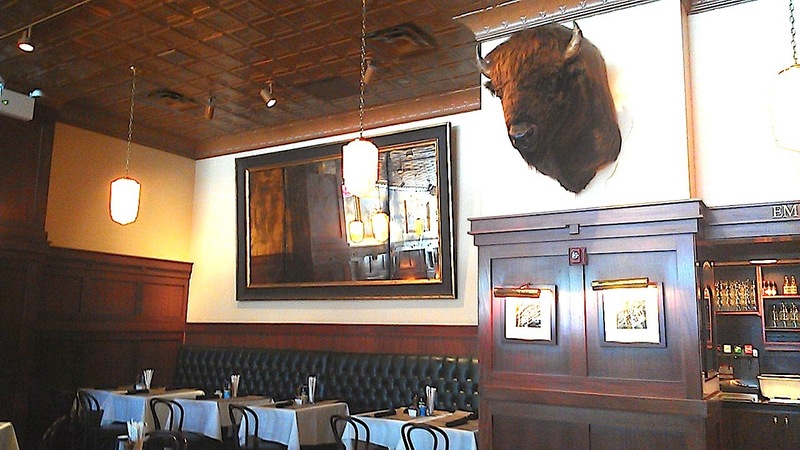 For those were wondering, the "Ted" in Ted's Montana Grill is none other than media entrepreneur and ex-Mr.Jane Fonda, Ted Turner. This frontier themed restaurant is best known for its extensive use of bison - so of course the Mister and I had to make it a Bison Brunch. We split the Bison Short Rib Hash ($20), a bowl of slow-braised short rib, breakfast potatoes, roasted corn and avocado with fried eggs and the Bison and Eggs ($32), served with roasted potatoes and toast. 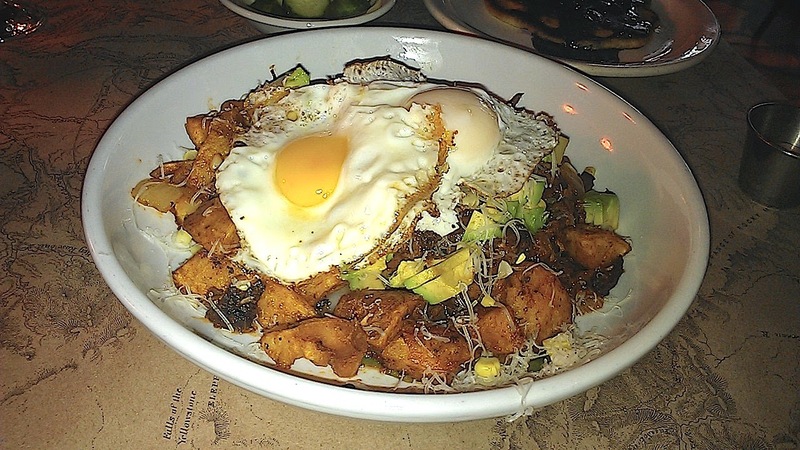 The Bison Short Rib Hash was an innovative delight. The slow-braised short rib melted in my mouth - so rich in flavor and so tender in texture, it was truly out of this world good. The chopped avocado was a nice pairing for the hearty meat and gave the dish a creamy yet milder contrast to the short rib. While the Bison Short Rib was creatively cool, the Bison and Eggs was its simple but solid counterpart. The farm fresh soft scrambled eggs and flavor packed Bison strip steak was cooked to perfection. Be warned, the portions for brunch are massive - the two dishes were more than enough food (and calories, which are posted on the menu) for the both of us. However, I'm glad I stumbled upon this brunch spot and will be definitely be back next time I'm in the neighborhood - appetite in tow!